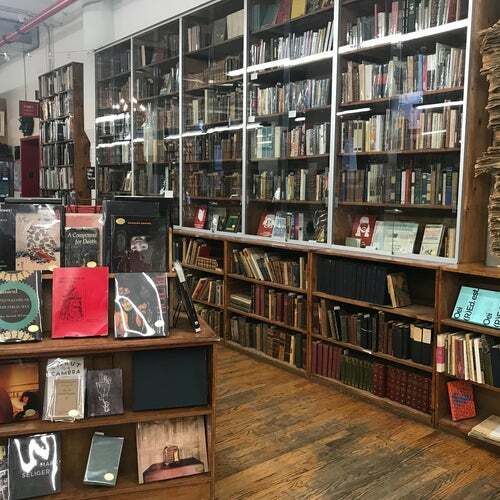 Nestled on one of the three massive floors at Strand is a larger GLBT section than you are likely to find in any strictly "gay" bookstore in the world. And for the Manhattan shopper, the prices are breath of fresh air. They might not have everything you need but they'll definitely have something for you. The Strand used to be kind of disorganized but they've really stepped it up in the past few years. If you're a book nerd like I am you should definitely check it out. Things are always on the cheap side. Oh! And you can sell or trade in old books, especially hard covered books.